A crowdfunding effort is underway to banish the misery felt by many camera owners with wobbly footage. 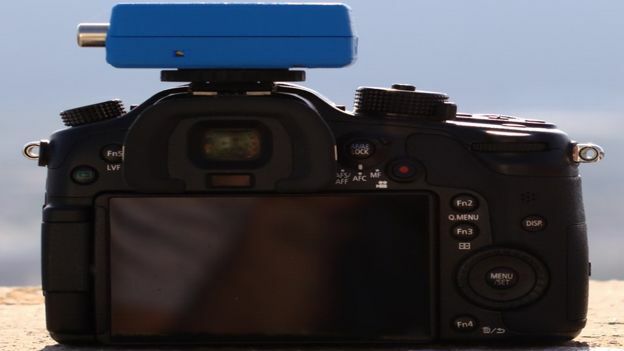 SteadXP, which has already smashed its goal of €150,000 (£110,000) on Kickstarter, is a lightweight device that fixes to the top of almost every digital camera out there to stabilise any woobly footage on-the-fly. At first look, the footage recorded on your camera makes you question what you've paid for as it remains the same. Don't worry you haven't been conned. When you upload footage to a computer for editing a separate file recorded by the SteadXP joins the fun and makes sure no-one has a wobbler at the state of the footage. The post-treatment software, which comes bundled with SteadXP, automatically uploads, extracts and processes data to compensate for any “unintentional movements” and after just seconds it suggests a trajectory optimised for your shot. Under the hood the device, which comes in two incarnations covering both GoPro and all other digital cameras such as DSLRs, has a 3 axis gyroscope, 3 axis accelerometer, microSD card slot, 32-bit ARM processor and USB connectivity for the processing stage. In terms of fixing it on to the camera, the SteadXP for GoPro fits inside the waterproof case with little hassle whereas the other version fixes to the standard cold-shoe on any pro or semi-pro camera. It also needs a stereo mic input and a clean video output such as an AV-out or HDMI. The creators of SteadXP expect the product to ship in March 2016 and the early bird version of the device is available at €140 (£102).